For most of us, gadgets are cool. If we build them ourselves, they’re double cool. We all had Lego, maybe even mechano. Great fun, but all too limited. If you want to take that to the next level with electronics and a bit of programming, why not check out The 2018 Arduino Enthusiast E-Book Bundle. In no time at all you could be building cameras, GPS trackers, Microphone Systems, Fingerprint sensors. You can pretty much emulate Q branch from James Bond. Don’t know anything about programming or electronics? No problem, The 2018 Arduino Enthusiast E-Book Bundle assumes no knowledge. 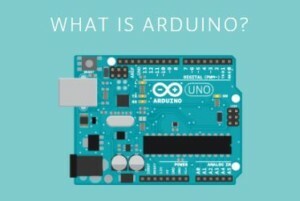 You can build some exciting projects using an Arduino board and an little tuition. What do you mean you haven’t heard of Arduino either? Simple as that. It’s the hobbyists dream. Easy to build for a beginner, versatile enough that a season pro will get a kick out of making much more complex mechanisms. You don’t have to pay the full $315 for this useful collection. In fact, you can pay whatever you like. Here’s the deal. Even if you just pay $1, you’ll get Arduino Computer Vision Programming. Hard to argue that you’re not getting value for money. If you beat the average price, which is displayed, then you get everything. At the time of writing the average was about $12. No hidden catches. It’s a crazy deal, but they make their money by selling thousands of bundles! Also if you beat the current leader at any time you’ll be straight into a draw for a Samsung Galaxy S9 phone. Wouldn’t that be a delightful little sweetener. The average price is always creeping up, so jump in early to get the best value. Find the deal via the button below.